Sri Lanka, the pearl of the Indian Ocean, has always been subject to conquest by various invaders. Apart from British colonization, this little island had previously been dominated by the Portuguese, Dutch, South Indians, etc., giving Sri Lanka a wealth of history to boast about. This rich history makes Sri Lanka a tourist hotspot famous for its ancient ruins, age old buildings, legends and folktales. 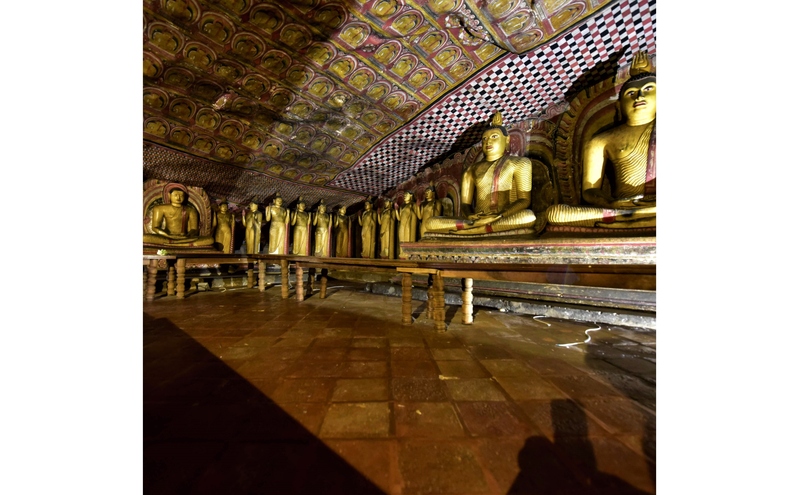 A trip to Sri Lanka wouldn’t be complete without a taste of its history and a visit to these historical places in Sri Lanka. Anuradhapura, Polonnaruwa, Sigiriya and Kandy form the cultural triangle and are home to most of the ancient ruins of Sri Lanka. Sigiriya homes one of Sri Lanka’s most treasured and most popular ruins. It is a fortress built on a 660 feet tall rock which including all necessary amenities. It is believed to have been built by King Kashyapa and is considered to be the 8th wonder of the world. Sigiriya is only a 4-hour drive from Colombo and the airport, making the journey easy and worth every minute of your time. 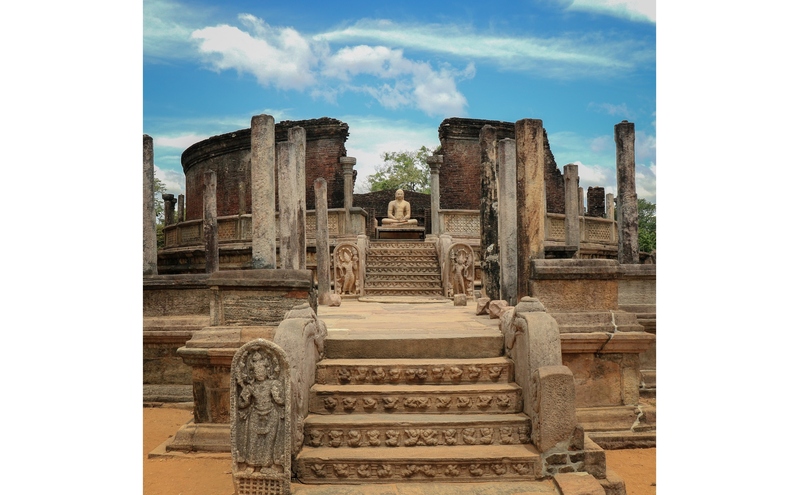 The second most ancient of Sri Lanka’s Kingdoms, Polonnaruwa was made the capital city after the Chola invasion. The ancient ruins of Polonnaruwa contain many Bhramanic constructions from the Chola civilization and is simply heaven for history lovers and sight-seeing enthusiasts owing to the countless ruins to witness, including Polonnaruwa Vatadage, Hetadage, Rankoth Vehera, Nissanka Latha Mandapaya, Gal Vihara and Vatadage. 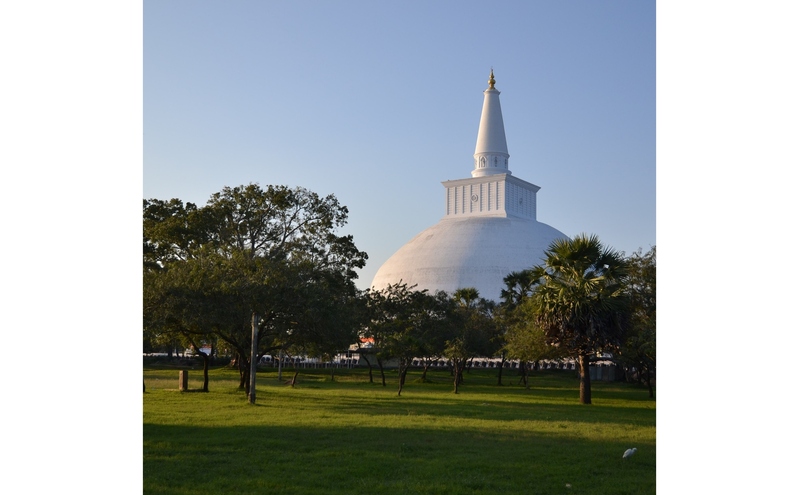 Anuradhapura lies around 200km away from Colombo (4-hour drive) and is the first capital of Sri Lanka. It is still a sacred Buddhist religious center and the ruins have been well-preserved. While you’re in Anuradhapura, don’t forget to catch a glimpse of the oldest sacred Bodhi tree, believed to be a descendant of the Bodhi tree under which Buddha was illuminated. Among other attractions, here are a few you must not miss; Ranmusu Uyana (Star gate), Thuparama Dagaba (Brick Stupas), Kuttam Pokuna (Twin Ponds), Lovamahapaya, Moonstones and a host of other Stupas. Sitting approximately 130 km (2-hour drive via the Expressway) south of Colombo, Galle is a town worth visiting. Built by the Dutch during their dominion of the country to protect the island from further invasion is now a sight for all to witness. The ancient Dutch architecture overlooking the Indian ocean, which has been very well preserved provides the perfect backdrop for your insta-worthy pictures! The Royal Cave Temple Complex has been famous for over 22 centuries. 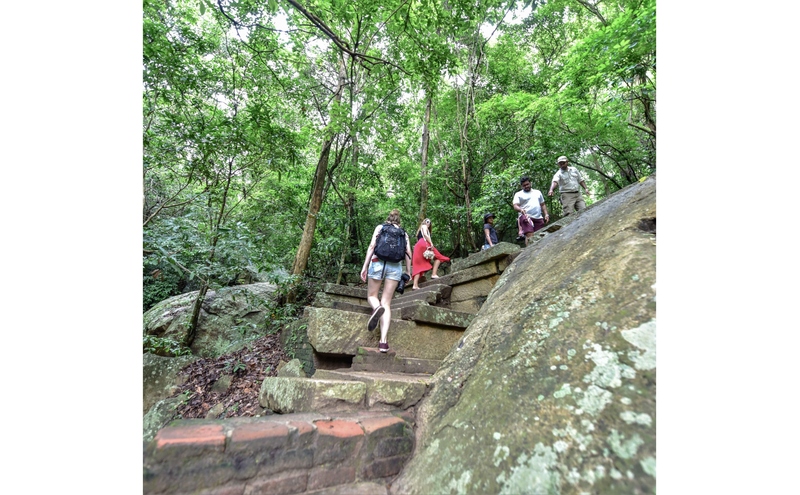 What awaits you atop this rock is simply breathtaking and definitely worth the climb of 160 m. Magnificent wall paintings and over 150 statues in and around the temple make this temple a tourist hotspot that can be visited easily during your stay at Cinnamon Lodge Habarana or Cinnamon Village by Cinnamon. Bring out the true history-lover in you by visiting the 32,000-year-old cave which provides ample evidence of prehistoric human presence. A walk through the jungle to this large cave where skeletal remains of 10 humans named the ‘Balangoda Man’ were found should be on the top of your list of Sri Lankan attractions. You can refresh yourself with a dip under the waterfall that sprays over the cave’s entrance too. And the best part? Its only 3 hours away from Colombo! 7. Fort of Triquillimale, the Portugese Fort. Completed in 1624 AD, Fort Frederick is a fort built by the Portuguese at Trincomalee and the gateway is crowned and adorned with British insignias and presently serves as the entrance to the Gokana Temple and the rebuilt Koneswaram temple. Wander around at the top of the walls of the fort before returning to your luxurious and comfortable abode a few kilometers away at Trinco Blu by Cinnamon. These intriguing ruins are usually skipped by tourists because of the hike to get there, but for the adventurous lot, this is most definitely worth the trouble and a truly rewarding experience. Apart from the monastery complex, Ritigala is home to 70 rock caves that were believed to had been inhabited since the first century BC. Don’t let the journey scare you and keep you from visiting this mystic beauty. While you enjoy your holiday at Cinnamon Citadel Kandy, don’t miss out on one of Sri Lanka’s points of interest, the historic Embekka Devalaya situated close to the hotel. The unique feature of this temple is that everything consists entirely of wood, with no other materials being used. It provides a feast for the eyes with its columns, pillars and doors all adorned with breathtaking wood carvings and the roof too has its own special design done in wood. Don’t miss out on this unique experience, witness the talents of the Gampola Era (1357 – 1374AD). Mulkirigala is another Temple constructed atop a large natural rock, surrounded with another four rocks and believed to be built in the third century. The site consists of seven viharas and has been constructed within five compounds, and adorned with ancient painting, carvings, sculptures and murals. 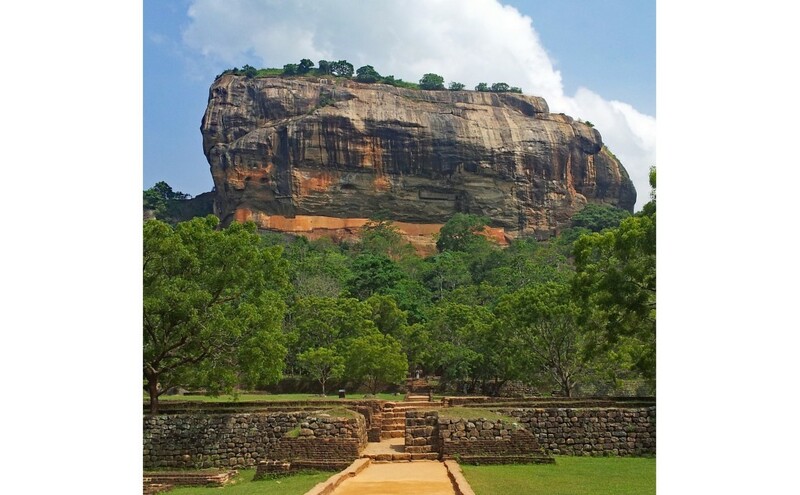 It is a lesser known ruin but visit the site to get a complete experience of the ancient ruins in Sri Lanka. If you don’t fancy travelling by car or van? Book your domestic flight with Cinnamon Air for a truly first class travelling experience. Make your journey easier and more comfortable, travel with us and book your stay at Cinnamon Hotels and Resorts to make it even better!